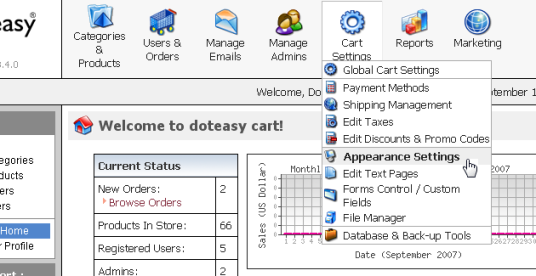 This section is used to enter catalog information. It allows you to setup catalog and product page views. You can also manage the number of products per page, size of the product image thumbnails and more. 2. 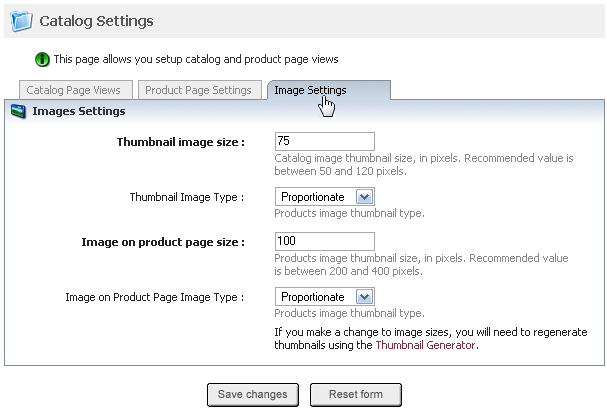 Click on the Catalog & Product Page Settings link on the Appearance Settings page. 1. 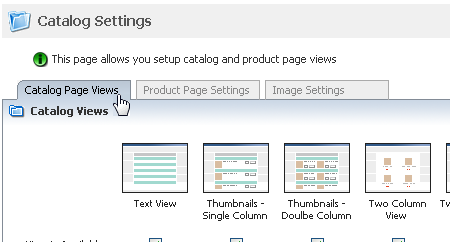 Click on the Catalog Page Views tab on the Catalog Settings page. 2. 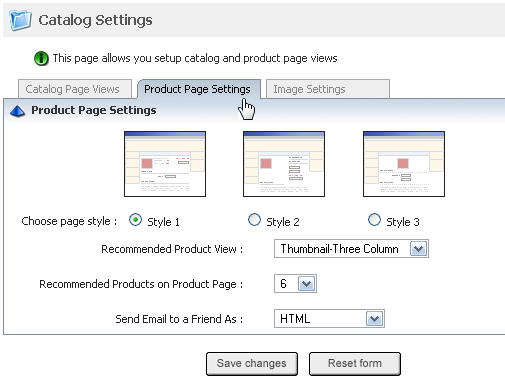 Under Catalog Page Views, select the Catalog Views and enter the Catalog Settings. 4. Click on the Save changes button to save the catalog page view settings. 1. Click on the Product Page Settings tab. 3. Click on the Save changes button to save the product page view settings. 1. Click on the Image Settings tab. 3. Click on the Save changes button to save the images settings.